WASHINGTON (CNS) — Immigration officials announced new health checks for immigrant children under detention after a second child, an 8-year-old boy, died Christmas Eve while under the agency’s care. “This is a tragic loss. On behalf of U.S. Customs and Border Protection, our deepest sympathies go out to the family,” said CBP Commissioner Kevin K. McAleenan in a Dec. 25 statement. He explained new measures for dealing with detained immigrant children and released more details about what happened leading up to the boy’s Dec. 24 death. But Catholic groups such as the Hope Border Institute in El Paso, Texas, said the death could have been prevented if U.S. authorities were not blocking migrants from entry points where they can legally ask for asylum. 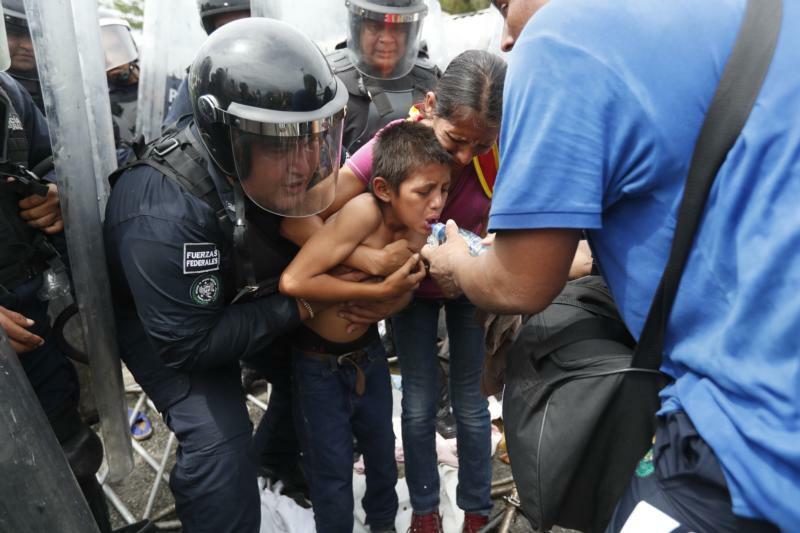 Instead, they said, migrants are driven to enter through more dangerous locations, where they experience dehydration and other dangers, or they are sent to crowded locations not fit to house children. Between then and Dec. 24, they were moved around several locations and were given food and water and provided “welfare checks” throughout the journey. The agency’s account said that on Dec. 24 in the morning, an agent noticed the child had “glossy eyes” and was coughing. He was sent along with his father to a general hospital for “possible influenza symptoms” and given Tylenol and another medication. While the agency has not released the boy’s name, a statement from the Congressional Hispanic Caucus identified him as Felipe Alonzo Gomez of Guatemala. He is the second child identified as dying while under detention by U.S. border authorities in December. Earlier in the month, authorities said 7-year-old Jakelin Caal, a girl, also from Guatemala, died of dehydration while under Border Patrol custody. The group made an effort to get more than 1,000 people to send virtual Christmas cards “to Congress and President Trump specifically about care for those who are seeking asylum,” Kerr said. She also is set to visit temporary holding facilities for migrants in late December and will send officials from the Centers for Disease Control to investigate, the newspaper reported.